Why did you ruin your app with an ‘upgrade’? 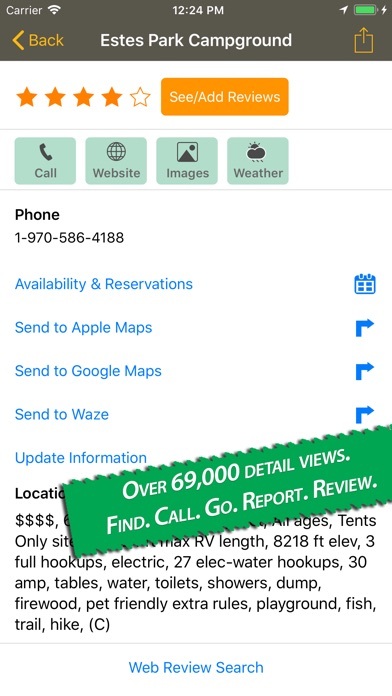 It used to give a concise/brief description of the RV parks as to ‘Big Rig Capable, 50 amp service, etc’ without having to go to the RV park website. Now you force that to happen. Much less efficient and user friendly. Very disappointed. By the way, you need to change the visuals on your app download page since you don’t get that information anymore. We’ve been using AllStays for several years now. Everyone we meet, we show them this app. Great sorting capabilities and the info is top notch. 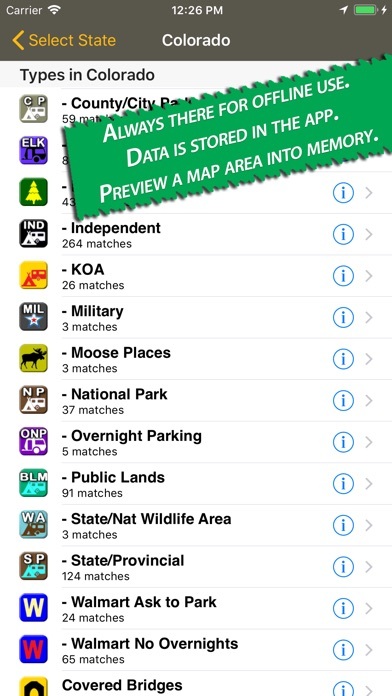 I plan our trips using this app as the primary source. We have updated some info to their site. Best resource we use. Simply put, this site will help guide you to find haven from the road! 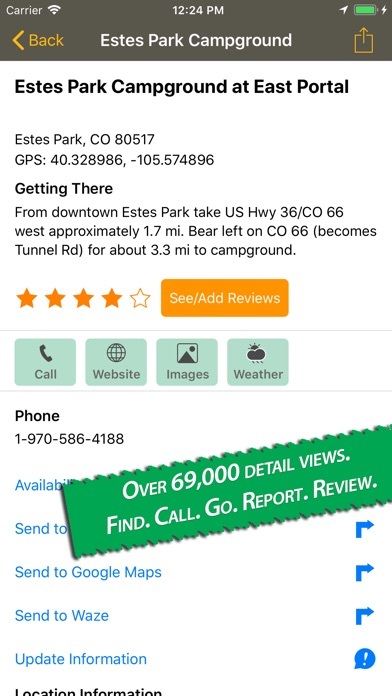 Our “go to” app for campsites, fueling, etc. So happy we found this app before we began full timing almost two years ago. It’s our number one reference! We love how All Stays APP helps us discover and compare places along our planned or unplanned route. We’ve used it for over 5 years and can’t imagine planning or traveling without it. It frees us from needing piles of reference books and maps which were frustrating because they never showed the full range options which All Stays shows. Abundant thanks to All Stays for many memorable nights in unexpected places off the beaten path. I retired 5 years ago and made the move to full time rv’er. 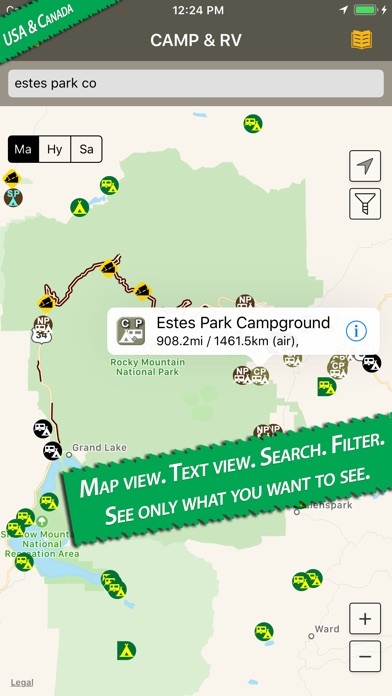 During this time I have been using the paid full version of the Camp & RV app. This app is such a part of my like style I would be lost without it. No matter where I am I am always able to find a place to park and spend a night or longer. The information is great and it goes a step further by linking to websites and online reviews. Used it all last year, and already started using it this year. Their latest set of updates made the user interface for searching absolutely terrible. They should have left things alone and only updated locations. I guess someone wanted to justify their existence- badly. Before the update this was a great app. 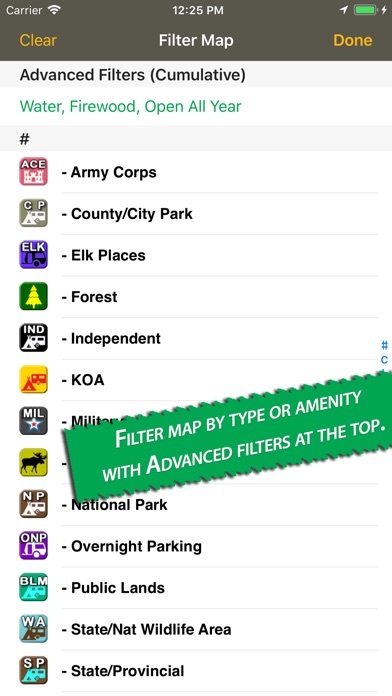 It was extremely useful for finding campsites and places to stop along the way. Use the paid app for our travel in a class A. So helpful and well worth the price of the app!